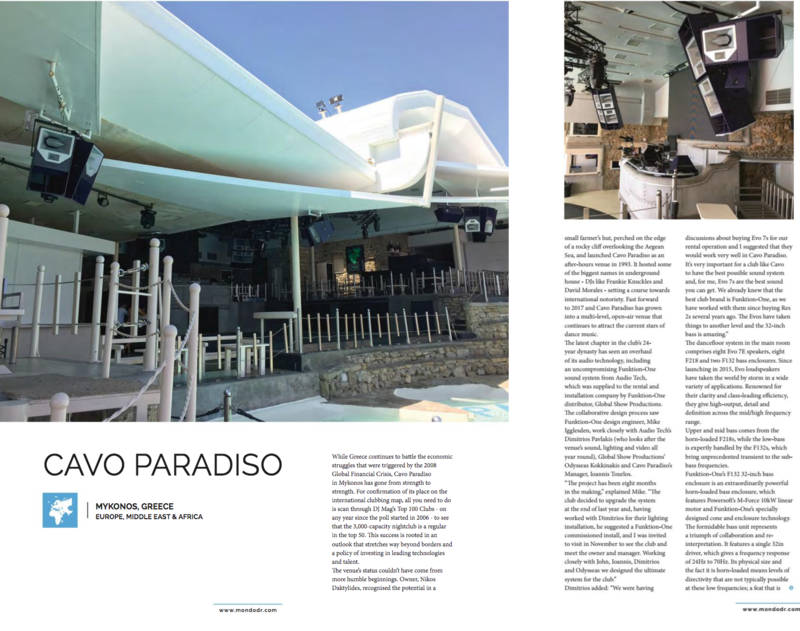 While Greece continues to battle the economic struggles that were triggered by the 2008 Global Financial Crisis, Cavo Paradiso in Mykonos has gone from strength to strength. For confirmation of its place on the international clubbing map, all you need to do is scan through DJ Mag’s Top 100 Clubs – on any year since the poll started in 2006 – to see that the 3,000-capacity nightclub is a regular in the top 50. This success is rooted in an outlook that stretches way beyond borders and a policy of investing in leading technologies and talent.